Why do humans cooperate in massive societies of millions of unrelated individuals? Our analysis of 10,000 years of world history shows that religion has coevolved with society to stabilize large-scale societies after they arise. Here I discuss how we did it, how my unlikely background as an ethnomusicologist led me to be involved in this study, and why music and religion might still hold the key to cooperation today just as they did for our ancestors. Little did I know when I first emailed a colleague back in 2011 to ask for advice about studying music in Japan that this would begin a process that would lead to my taking up a position in anthropology at the University of Oxford and publishing a paper in Nature on the coevolution of world religions and cooperative societies. In retrospect, however, the connection between music, religion, and cooperation was a natural one, and one that I intend to continue investigating now that I am leading my own lab at Keio University. For one of the most universal things about music is it’s power to bring us together: both by connecting humans with one another, and by connecting humans with the supernatural world. 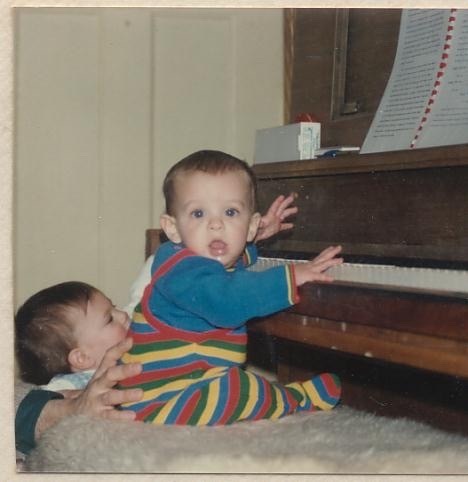 Like many, I’ve loved music my whole life, since even before I could talk. But it wasn’t until age 18 when I joined the Zumbyes, an a cappella group at Amherst College, that I first truly felt the incredible power of music to bond me with others. While fraternities and other groups - and in fact, many religious rituals in small-scale societies - rely on harsh initiation ceremonies to bond their members, my initiation to the Zumbyes consisted of eating pizza and singing together through the night. It turned out that singing in harmony was all we needed to create interpersonal harmony. Even today, over a decade after we last sang together, these are some of my most treasured memories and remain my closest friends. 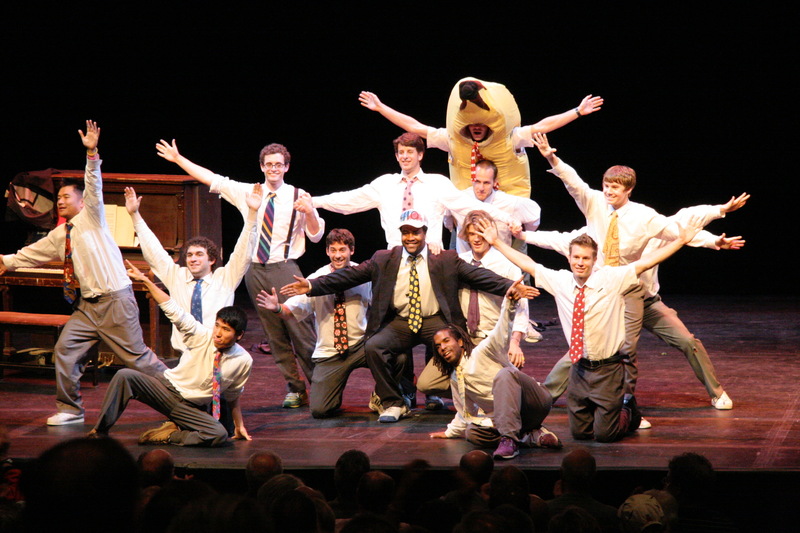 Me (with pink tie) performing with the Amherst College Zumbyes in 2007, a few months before placing third in the International Championship of Collegiate A Cappella. At Amherst College I majored in music, but at times I was also considering majoring in Japanese or biochemistry. I even did a summer undergraduate research internship synthesizing organic compounds trying to cure cancer. 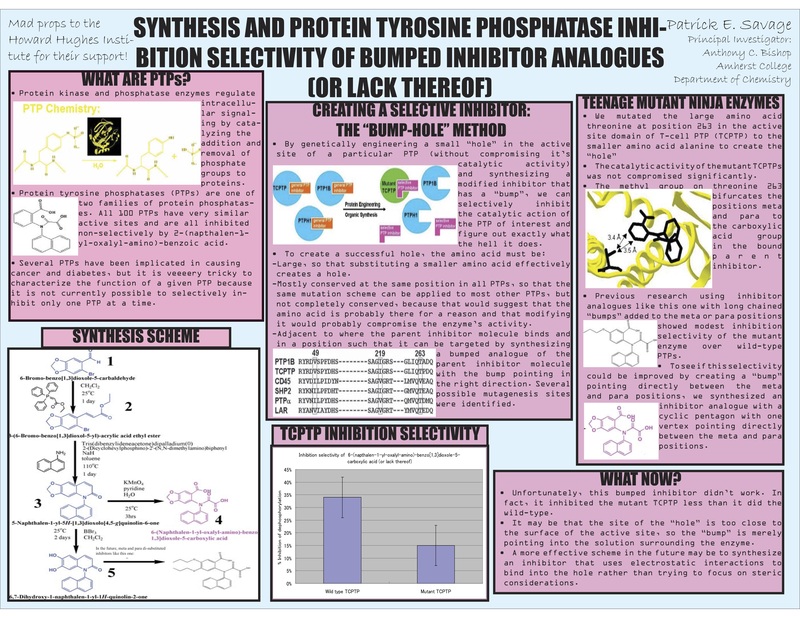 My first scientific poster based on my summer undergraduate biochemistry research internship in 2005. In 2007 when I was studying traditional music in Japan as the Amherst-Doshisha Fellow and started reading a book co-edited by neuroscientist Steven Brown entitled The origins of music, it finally struck me that I could combine all of my interests by studying the science of the world’s music. At the time, I felt like I stumbled into this realization purely by chance, but in retrospect my meandering path was part of a broader trend toward interdisciplinary studies that blur the traditional boundaries between "sciences" and "humanities". Over the next few years I did graduate study both in psychology (with Brown at McMaster University) and in ethnomusicology (the anthropology of music, with Yukio Uemura at the Tokyo University of the Arts) that helped me to understand the challenges of trying to quantify cross-cultural diversity in ways that wouldn’t have been possible if I had only done experimental science or only ethnographic fieldwork. One of my most memorable experiences from my ethnomusicology fieldwork was of taking part in the annual Tanabata Festival in Rikuzentakata, Iwate, Japan. This festival had always had an important spiritual meaning connected to Japan’s ancient O-bon ritual during which ancestral spirits are believed to return briefly to enjoy music, dancing, and merry-making (not unlike the Día de Muertos festival featured in Pixar’s 2017 animated film Coco). But this meaning took on a terrible new significance in the aftermath of the devastating 2011 M9.0 earthquake and tsunami. Rikuzentakata was one of the places most devastated. The entire city was effectively washed off the face of the earth in the space of under an hour. Thousands of people were killed. Those who survived had no homes or businesses to return to, and wondered whether there was any point in trying to rebuild. From the depths of despair, it was the city’s ancient festivals that provided the survivors with the meaning and the opportunity to unite and rebuild. Through music, drumming, chanting, and pulling the decorated floats through the rubble where the city once was, the survivors came together to remember their ancestors who had passed down these same traditions in this same town for hundreds of years, and their friends and family who lost their lives trying to save the town. Through doing so, they reaffirmed their commitment to rebuilding the town and passing down its traditions and its lessons to future generations. Today, although not completely rebuilt, Rikuzentakata is on the path to recovery thanks in large part to the unifying power of music and communal rituals. 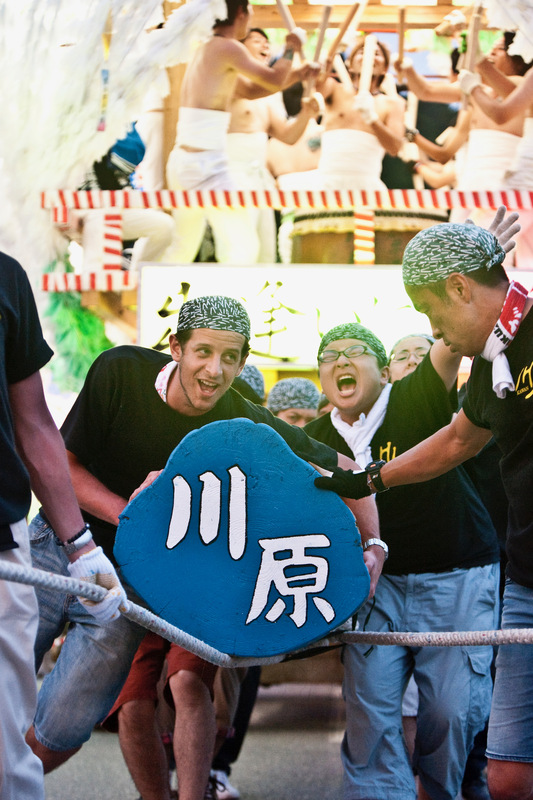 The other members of the Kawara festival team and I chant along with the drummers as we pull them through the remains of post-tsunami Rikuzentakata, Iwate, Japan for their annual summer festival in 2013. Photo by Keio Sato. The Rikuzentakata festival was on my mind when I wrote a paper published in the Proceedings of the National Academy of Sciences in 2015 arguing for the universal power of music to bring people together. And it was on my mind again when my coauthor on that paper, Tom Currie, suggested that I should try to apply the statistical tools we had developed for analyzing cross-cultural musical diversity to a project he was involved with looking at the evolution of religion around the world, called the Seshat: Global History Databank. Seshat was founded by an unlikely combination of a complexity scientist (Peter Turchin), anthropologist (Harvey Whitehouse), and historian (Pieter François). This wildly ambitious project aimed to synthesize all of our vast but scattered knowledge about human history into a single standardised database to allow us to use science to understand general patterns in human history. Many scholars have proposed things like agriculture, warfare, or religion as driving factors in human history, but without a standardized database like Seshat to draw in, scholarly debate tends to involve both sides cherry-picking anecdotal examples that support their view, with little resolution in sight. One thing I found particularly attractive about Seshat is that, while some scientists have tried their hand at analyzing things like music and religion without close collaboration with specialists, Seshat was a truly interdisciplinary collaboration involving dozens of disciplinary experts at all levels of the research (our first big paper from Seshat published in PNAS had over 50 co-authors!). By the time I joined, Seshat already contained a wealth of theory-informed data on ritual and religion with the aim of testing specific predictions pertaining to Harvey's "Modes of Religiosity" theory and other prominent theories about the relationship between religion and society. My colleagues Daniel Mullins and Daniel Hoyer had already sunk their teeth into the debate about whether there was a 1st millenium "Axial Age" in which new philosopher-prophets like the Buddha, Plato, and Confucious radically altered the trajectory of human social evolution. After reading up and discussing with Harvey and Pieter, we decided to focus our collaboration on the question of the historical relationship between "Big Gods" and complex societies, as this was becoming a hot topic in cultural evolution. After beginning a postdoc position in Oxford's School of Anthropology and Museum Ethnography supervised by Harvey and Pieter, I dived into the literature on what was suddenly my new responsibility: religion and social complexity throughout world history. I had a lot of catching up to do. Fortunately, I didn't have to do it on my own. In addition to my supervisors, Seshat already had a vast team of regional specialists, postdocs, and research assistants who had been steadily assembling this information over the past few years. During my first trip to Oxford in February 2017, I got to see first hand how this information all came together - we invited experts on ancient religion from all over the world to meet face-to-face with our team and help navigate the huge complications involved in trying to answer questions like "what was the most frequent ritual in 500BCE Rome?" or "what types of behaviors were believed to be supernaturally punished in 2800BCE Egypt?" (respective answers: daily sacrifices by vestal virgins, and things like cheating that violated "Maat" [order]). A few months later I organized a similar workshop at the University of Tokyo where we got to hear still more perspectives from world experts. The research assistants, Harvey, Pieter, and I continued to communicate closely with these and other experts by email and Skype as we tried to be certain that we had documented both our current understanding of beliefs in Big Gods and the degree of uncertainty in such beliefs to the best of our current understanding. 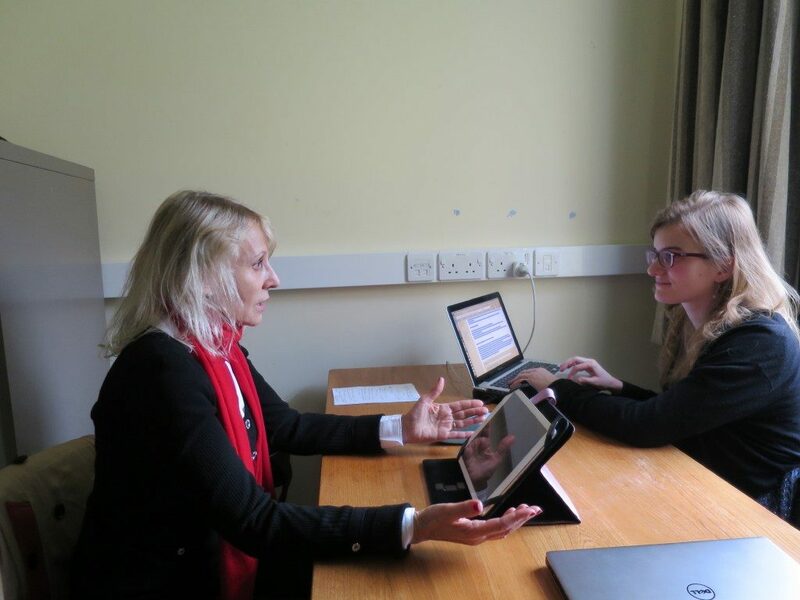 Professor Vesna Wallace meets with Seshat research assistant Agathe Dupeyron at the University of Oxford in February 2017 to discuss ancient Buddhism. Once all the data was finally ready to be analyzed, it was my job to crunch the numbers. Once again, I didn't have to do this on my own, as Peter Turchin and Tom Currie had been working for some time on models for analyzing Seshat data. As they neared publication, I had a quick trial by fire in which I had a week to figure out what the heck was going on in Peter's massive screed of R code for quantifying social complexity for what became our PNAS paper, and adapt it to do various bootstrapping reanalyses to ensure that our analyses were robust to all conceivable sources of bias or autocorrelation. After that I had to figure out how to build on this code to test for historical relationships between moralizing gods and complex societies: which came first? As it turned out, the surprising answer was that complex societies consistently preceded moralizing gods throughout world history. This contradicted much of the prevailing wisdom that moralizing gods were a causal factor driving the initial rise of complex societies. The review process at Nature was extremely rigorous and in the process I re-ran what felt like every conceivable reanalysis possible. No matter how I did it, societies always tended to grow at least twice as fast on average before the appearance of moralizing gods, not after. In the paper we tried to explore whether ritual beliefs might have played a stronger role in this initial rise of social complexity, as Harvey's "modes of religiosity" theory predicted. But although we found some suggestive evidence for the deep roots of standardized, doctrinal rituals, our analyses were inconclusive. To me, it suggested that, while religion clearly is coevolving with society to stabilize increasingly complex societies, it doesn't seem to be sufficient by itself to explain the initial rise of complex societies. I have my own pet theory about the role of music and dance in facilitating cooperation, but there are also more mainstream theories about things like agriculture and warfare that are easier to capture in the historical record. Stay tuned for more on this topic over the next few years as we continue to use science to answer big questions about human history! As my experiences with the Rikuzentakata festival show, the deep connections between art, religion, and society are still as important today as they were to our ancestors thousands of years ago. I hope that by providing scientific evidence to demonstrate the power of things like music and religion, we can help make the world a better place by informing policy and funding for things like reducing violence by and toward religious groups and encouraging investment in arts education and community festivals. This research received core funding from the UK’s Economic and Social Research Council (ESRC), the John Templeton Foundation, the European Research Council (ERC), and the European Union Horizon 2020 Research and Innovation Programme.